American auto-manufacturers would have never imagined that Japanese producers will take over the auto-vehicle market in the mid 1980s. In fact, if they would have been told about it, they would have laughed at the possibility of that every happening. However, eventually, Japanese car manufacturers were able to win over the United States car producers through cars as well as anime. Before this conquest actually occurred, there were some meetings that were not only secret but also weird, and were held in the chairman chambers. Toyota chairman Eiji Toyoda along with his company executives held a meeting in 1983 so that they could talk about the possibility of the development of a new car line based on luxury which would be able to effectively compete with their American counterparts. This was a serious meeting and not something for cookies and tea. This meeting was later known as the F1 Flahship 1, and it eventually became highly lucrative. Eventually, this meeting led to the production of a vehicle given the name of Lexus LS 400. This particular model of the Lexus was not something that was given a lot of time, along with the investment of resources. In fact, Japanese car manufacturers made it a point to understand the consumer habits as well as the lifestyles of American individuals who consumed luxury products. This was done through the renting of a house in the Laguna Beach so that the researchers hired by the company could actually know more about their "subjects". Due to thorough consumer research along with innovative engineering, the LX 400 eventually proved to be a hit. This car was one of the main attractions in the North American Auto Show which was held in Detroit in 1989, where it was launched. Excellent advertising also helped boost the popularity of this car. And one cannot question the fact that it was a hit because it was a combined effort of around 24 engineering teams along with a labor force of few thousand individuals which worked on making around 450 prototypes, and which added to a total investment of $1 billion. If compared to the Acura that was prevalent in the United States market after its launch three years before the LX 400, this particular car was highly unique. There were no similarities to the design patterns of Toyota, unlike the first few models of Acura that were simply rebadged with the name of Honda. Once this car was released into the market, it eventually proved to be a fierce competition for BMW and Mercedes Benz because of its excellent features that include it being not only powerful and reliable, but also silent during operation and quite ergonomic. 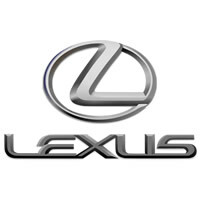 Once the LS had gotten an adequate amount of sales, this brand eventually expanded through the 81-dealership network. A number of models including the ES 250 were eventually released in the market. In the first few years of sale, this car was considered to be the top-selling car in the luxury niche in the United States. The Japanese manufacturers saw an increase in the profits, and the sales of the cars continued to boom, which led two new models to be released in the market in 1991, which included the ES 300 sedan as well as the SC400 coupe. The ES250 was replaced with the ES300 and it eventually became the best selling sedan for the company. After the LS 400 was released into the market, along with the GS series which was Toyota Aristo-based, Lexus broke through the sports car segment by launching LX 450 in 1996. The LX450 was a large car, whose design was based on the Toyota Land Cruiser 100. In 1998, Lexus released the RX, which had its design based on the Toyota's Camry model. The same year also saw the launch of the new GS series. The sales of the Lexus continued to boom in the following years because of the technological improvements that occurred, which included the launch of the Lexus Hybrid Drive System in 2005. 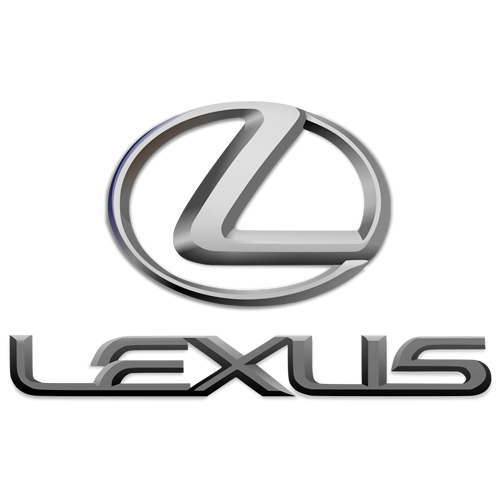 The Lexus had continued to be successful since the beginning of this brand. This brand was eventually introduced in the home market in the year 2005. It was also launched in other markets which included Europe, South America, some parts of Asia and Australia. The Lexus had spread to around fifty countries by 2007, and it has continued to grow. The company has the motto of having perfection in its car, which has led the car to release different series including the IS, LS and RX series, along with the introduction of the LF-A concepts.